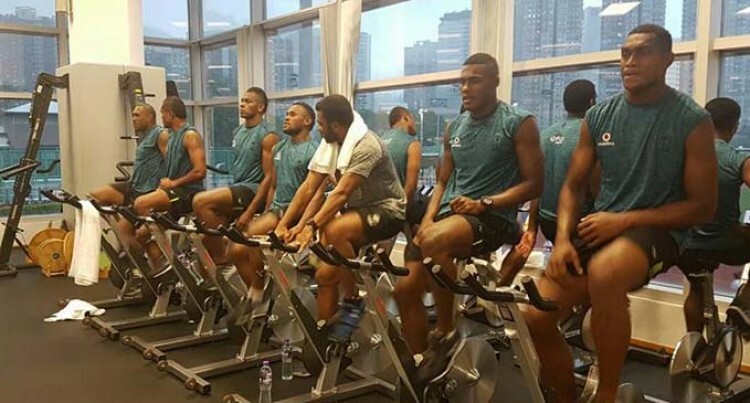 The Vodafone Fijian 7s team have started training in Hong Kong, China. Yesterday morning, the team took an early morning walk to the Hong Kong racecourse to get acclimatised to the weather conditions prior to the Hong Kong 7s next weekend. Isake ‘Ice’ Katonibau is calling on Fijian 7s fans to be patient with the team as they stay on the hunt for their first tournament win in the 2016/17 World Sevens Series. The Vodafone Fijians are currently in third place with 100 points. South Africa leads the Series tally with 126 points and England is second with 103. The Vodafone Fijians face New Zealand, Wales and Japan in Pool C in Hong Kong.